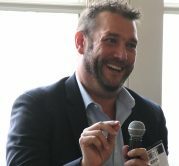 Welcome to episode 13 of The CUInsight Experience podcast. Hosted by Randy Smith, co-founder and publisher of CUInsight.com. 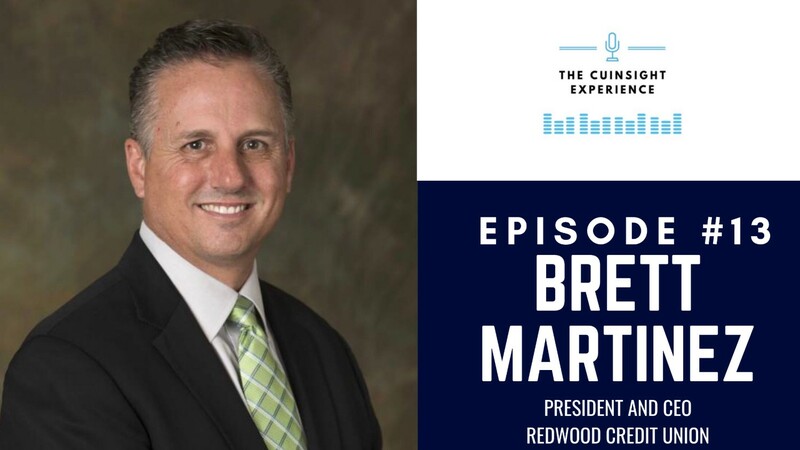 Brett Martinez, the President and CEO of Redwood Credit Union, joins me for today’s episode! In case you’re not already familiar with him, he’s also the CUNA Board Chair and on the Board of Trustees of CU Direct. You’ve probably heard of the wildfires that ravaged the Redwood Credit Union community, and how they raised $32 million in disaster relief. We’ve linked to articles about that below in the show notes. In our conversation, we’ll talk about the human side of all of this, and what it was like to lead in that unexpected situation. The first decision that Brett had to make when he saw the flames was whether to cancel the big event they had planned for the next day. This turned out to be a good choice; the building where the event was going to be held caught on fire. Getting his employees and their families to safety was the next priority after that. As Brett explains today, he has a situational leadership style, so he doesn’t have just one leadership style all the time. This meant that he was well-prepared to handle the fires from a leadership perspective, because he already believes in handling each situation uniquely as it comes up. He’ll chat about various things he did in the aftermath of the disaster, including an at-work daycare so employees could bring their kids, as well as mandatory counseling. In case you’re concerned that this episode is all about disasters and might not apply to you, don’t worry! We’ll also dig into the usual topics we address in the show, such as how Brett got started in the world of credit unions, how the industry has changed over the course of his career, and the advice that he keeps coming back to through his career. Take a look at what going on at Redwood Credit Union. Brett is the current CUNA Board Chair. You can see his full bio here. Interested in attending Western CUNA Management School? Here’s a link. Read all about the October 2017 Northern California Wildfires here. The North Bay Fire Relief Fund information page. How CUAid from the National Credit Union Foundation helps the credit union community in need. Check out the awareness campaign Brett spoke of. Open your eyes to a credit union. You can find all past episodes of The CUInsight Experience here. [00:03] – Welcome to the show! Brett Martinez joins Randy for today’s episode. [03:27] – What were Brett’s first thoughts in the emergency fire situation when he realized that it wasn’t going to be business as usual for a while? [07:29] – We learn that Brett had a plan for a situation like this, but as he points out, you don’t have time to read the plan during an emergency. [08:40] – Was there anything in Brett’s life that prepared him to react to the fires as well and quickly as he did? [10:26] – Brett talks about whether his leadership style had to change when disaster struck. [12:38] – We hear about the most important thing that Brett learned from the experience that he wants other people to know about. [15:09] – What was it like to be in the position of dealing with people who had lost their homes in the fires? [17:45] – Brett talks about what it was originally that drew him to credit unions and led to him having a career in this industry. He also digs into whether his inspiration has changed throughout his career. [20:31] – How have credit unions changed over Brett’s career? And how has going left when everyone else goes right worked out for him and Redwood Credit Union? [24:07] – We learn that Brett’s mom worked at a very small credit union when he was growing up, so he’s been familiar with them for a large part of his life. [26:31] – Is there a significant belief that credit unions hold that Brett expects will change in the relatively near future? [27:32] – Brett talks about how his team would describe his leadership style, as well as what his team’s greatest strengths are. [29:57] – We hear about how Brett makes hiring decisions and what he looks for in applicants. [31:24] – Is there something that Brett’s team has heard him say so often that they could finish his sentence? Does he have a favorite failure that has led to a future success? [33:36] – Brett shares a piece of advice that he keeps going back to over and over in his career. [35:36] – We hear about what Brett does when he runs into a wall, as well as whether he has people outside of the credit union world who he looks to for an outside perspective. [37:51] – What has Brett seen young leaders struggle with? [39:03] – Brett talks about what he does to recharge if he has a free day. [39:53] – We move into the rapid-fire questions: does Brett have any daily routines that he has to do or his day will feel off? [41:24] – When was the first time that Brett got into memorable trouble? [42:45] – What’s the greatest album of all time, that Brett could listen to without skipping a song? [43:07] – Is there a particular book that Brett recommends or gives away frequently? [45:02] – What has become more (or less) important to Brett as he has gotten older? [45:45] – When Brett hears the word “success,” who is the first person who comes to mind? [46:39] – Does Brett have any final thoughts or asks for listeners?